Our Quinton Martial Arts school is based at the Quinbourne community centre on ridge acre road Halesowen, it offers our Tiny Tigers program for 3-5 years and little ninja karate for 6-8 years & 9 plus Kids Kickboxing. The school is a great opportunity to bring our fun martial arts system to Quinton. We opened our Quinton school just over a five years ago in late 2011, with the introduction of the Tiny Tigers program, our program successfully spread due to our fun syllabus, students and their families. 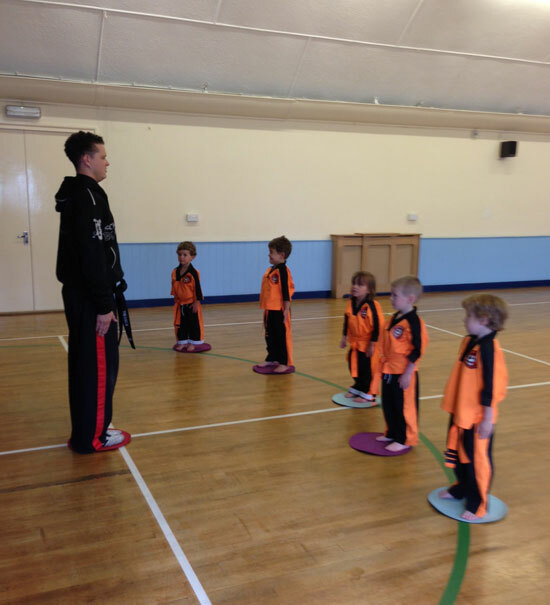 We then launched the little ninja karate syllabus in which our student base continues to grow. We believe that providing a safe and fun environment is key for all students. We believe that martial arts is the best way in which children and adults alike can grow, not just as martial artists but as children and people, not only teaching martial arts but confidence, focus and discipline. As with all our schools, all our students are given access to attend regular seminars at our headquarters, helping our students mix and train with other students and helps to promote a sense of belonging. Little ninja students are graded every three months (for beginner grades) and every six months (for advanced grades). On these special days family and friends are invited to join in the celebration of perseverance and hard work. Error: Error validating access token: Session has expired on Monday, 18-Mar-19 16:52:14 PDT. The current time is Thursday, 25-Apr-19 21:48:00 PDT.